It’s Chinese New Year, a time of celebration and togetherness. This and K’s birthday are probably the two times of year that I most regret not living close to my family. But Chinese New Year…This I remember. As a kid, you get little red envelopes called lai see which contain money. You get to play with things that go bang. There’s food. Lots and lots of food. But to be honest, I think I really like Chinese New Year because my grasp on Chinese culture is tenuous at best. Chinese New Year is the one time that I have a decent grasp of what’s going on and what I’m supposed to do. And it so neatly wraps up so many of the things I associate with being Chinese into one little package. 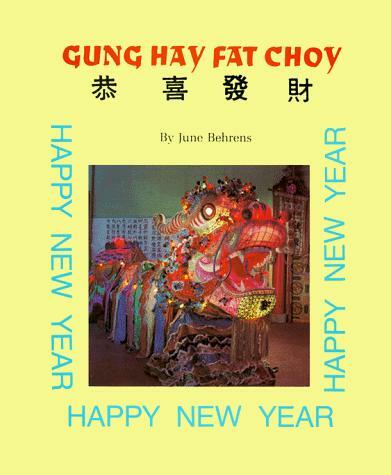 So on this Chinese New Year, K and I both wish you a hearty Gung Hay Fat Choy. This book is now out of print, but I do have a copy that I use to read K. She loves looking for Poh-Poh and Gung-Gung as well as her aunties, uncle and mommy in the book. Her father once remarked that in every picture in the book, some 4-year-old little urchin is reaching for food. Some things never change. This entry was posted in General and tagged children, Chinese New Year, Family, Food, Fun, Holidays, Memories, Traditions. Bookmark the permalink. Happy New Year, girls! Love to you both.